This question is one that has perplexed many including myself. Yes, there is no denying that the Gospels depict two consecutive Passovers. Those who claim that Jesus and his disciples did not observe the Passover in the Last Supper: deny Scripture, implicitly make Jesus to be a law breaker (sinner) and concoct a Jesus who is oblivious to His placement and representation in His own history. The Passover - there are two consecutive Passovers in the Gospels. There’s only one real Passover in the Old Testament, but when people get involved, they want to change things, such as, “Well, this is inconvenient, let’s have Daylight Savings Time; it would be more convenient". Passover at the time of Jesus, even through to today is observed on the 15th day of the first month (Abib/Nissan, the name of the month); according to the Jewish sacred calendar. If Passover was and is observed on the 15th, then why does Leviticus 23:5 state, “In the fourteenth day of the first month at even is the LORD’s Passover”. Clearly, God originally established Passover on the 14th of Abib/Nissan at the evening. This date is verified in both Exodus and Numbers. Jewish days start in the evening, after the sun goes down. Where do they get this you might ask? Well the Lord said, “…from even unto even, shall ye celebrate your Sabbath” – Leviticus 23:32. Additionally, in the first chapter of Genesis it is stated, "And the evening and the morning were the first day” and so on for each of the six days of creation. Then the very next verse in Leviticus states at 23:6, “And on the fifteenth day of the same month is the feast of unleavened bread unto the LORD”. It is important to make the distinction between these two dates, which mark two separate events. The events are: Passover, the night the Passover lamb was eaten - and - Feast of Unleavened Bread, the night the Israelites left Egypt. At some point, observance of these two events was merged on to the 15th of Abib/Nissan. Understanding this alteration, it’s possible to discern the stark meaning of Luke’s statement, “Now the feast of unleavened bread drew nigh, which is called the Passover" – 22:1. Wait a minute, is it called the Passover or the Feast of Unleavened Bread? I thought the two were separate. It says in the Old Testament that they are, and now Luke says they are not; that it has been combined. What does he mean? He’s got to be telling the truth, but what does he mean? Even though Passover was originally observed the day before the Feast of Unleavened Bread, it was now observed the same day as the Feast of Unleavened Bread; on the 15th of Abib/Nissan. So a significant consequence of this Passover shift was the associated shift of the Passover Preparation day. Remember that term, Preparation day? Preparation day was the day before Passover with Passover starting at sunset of the day of Preparation (because Jewish days start at sundown): this is the day when all the lambs were sacrificed, bitter herbs are gathered, ALL leaven was gotten rid of (including items with leaven in them) and bread and cakes were baked without leaven; for the observance of the days of these two up-coming events. In conjunction with the shift in Passover from the 14th to the 15th, the Preparation day was moved from the 13th to the 14th. This modification in the calendar would prove to be of great prophetic significance. There has been a great controversy as to whether or not Jesus kept the ordinance of the Passover. I’ve heard that discussion a lot of times, but there is not a mention of an animal lamb being there. Jesus simply took up bread as He said, “This is my body which is given for you". This, because there wasn’t any animal lamb there, but there was the Lamb of God there. In the synoptic Gospels: Matthew, Mark and Luke, they indisputably make reference to Jesus eating the Passover meal. But a Passover lamb is never mentioned in any of the four New Testament accounts, therefore this Passover account was in a different ‘form’: “For even Christ our passover is sacrificed for us” – 1 Corinthians 5:7; and it was on the date and evening that God had ordained. Let’s take a quick look back at Matthew, "And he[Jesus] said, Go into the city to such a man, and say unto him, The Master saith, My time is at hand; I will keep the passover at thy house with my disciples. (19) And the disciples did as Jesus had appointed them; and they made ready the passover. (20) Now when the even was come, he sat down with the twelve" – 26:18-20. Then quickly review Mark, “The Master saith, Where is the guestchamber, where I shall eat the passover with my disciples? (15) And he will shew you a large upper room furnished and prepared: there make ready for us. (16) And his disciples went forth, and came into the city, and found as he had said unto them: and they made ready the passover. (17) And in the evening he cometh with the twelve" – 14:14 to 17. Lastly of the synoptic Gospels, a swift glimpse of Luke, “And they went, and found as he had said unto them: and they made ready the passover. (14) And when the hour was come, he sat down, and the twelve apostles with him. (15) And he said unto them, With desire I have desired to eat this passover with you before I suffer" – 22:13 to 15. Jesus clearly states that they were eating Passover. But John’s account, clearly states that the Jewish Passover meal was not eaten until the next evening after the Crucifixion, and therein is the controversy of the two consecutive Gospel Passovers. "Then led they Jesus from Caiaphas unto the hall of judgment: and it was early; and they themselves went not into the judgment hall, lest they should be defiled; but that they might eat the Passover" – John 18:28. From this verse it is evident that Passover, is yet future from this point in time. Before this, it states in John chapter 13, "Now before the feast of the passover, when Jesus knew that his hour was come that he should depart out of this world unto the Father, having loved his own which were in the world, he loved them unto the end. (2) And supper being ended" – verses 1 to 2. So here we see very plainly that the Last Supper was the day before the Jewish observance of the Passover. Yet the synoptic Gospels plainly make the Last Supper and Passover on the same day. And to further emphasize John’s viewpoint, he affirms it in John chapter 19, “The Jews therefore, because it was the preparation, that the bodies should not remain upon the cross on the sabbath day, (for that sabbath day was an high day), besought Pilate that their legs might be broken, and that they might be taken away” – verse 31. Understanding, “(for that sabbath day was an high day)” is obviously a reference to Passover. In regard to this controversy, it has been suggested by many that there were two different dates for the observance of the Passover: (one) according to the Pharisees on the Biblical 14th, and (second) according to the Sadducees on the combined15th. They were always at each other’s throats and so it seems a possibility, in light of the conflicts between the Pharisees and the Sadducees. But whether true or not, it is a fact that from the time of Jesus even to today, the nation of Israel follows the 15th. So the apparent discrepancy between the synoptic Gospels and John’s Gospel is resolved, by understanding that the Last Supper was a ‘memorial’ Passover meal in remembrance of the Exodus Passover on the 14th, and it was with the true Lamb; not the animal lamb that had been representing Jesus up till THEN. Subsequently, John writing later than the other three gives perspective; by applying the change of date for the Passover into the framework of his Gospel account. Bottom Line: Jesus followed the Biblical date (14th) and timing (evening), as ordained by God in the Books of Exodus, Leviticus and Numbers. There was no lamb at this meal precisely because Jesus Christ presented Himself as the Lamb; as promised since the time of Abraham and Isaac, for the redemption of all mankind: and as such, he represented himself with bread. The beauty of the perplexity of this dis-arrangement, leads us to the big picture – The disciples had prepared everything for the Biblical Passover except the lamb, the lambs (according to the High Priest) were not to be sacrificed until the following day. After His arrest, trial and conviction, Jesus was crucified on the day of the 14th, the ‘new’ Preparation day, for the ‘combined’ Passover on the 15th (which began at sundown on the 14th). Also, according to the first century historian Josephus#, the lambs were slain on the Preparation day (outside the walls of the city) between 3:00 and 5:00 p.m. then after sundown they roast them at home for Passover. 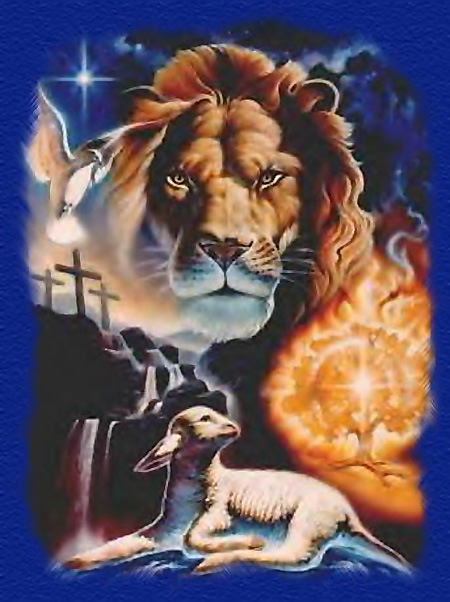 Therefore Jesus, the Lamb of God, died (outside the walls of the city) at 3:00 in the afternoon (the Jewish ninth hour) – precisely at the time that the sacrifices were to commence. So what at first appears to be a contradiction in God’s Word, namely, two different dates for the Passover, in actuality reveals Divine design. #The Wars of the Jews, Book VI, Chapter IX, Section 3. 1. During the time of Christ the Hebrew calendar was determined by both calculations and observations of a new crescent by at least two eyewitnesses (marking the beginning of the month). The testimony of at least two witnesses always took priority over calculations. After the witnesses were cross-examined by the court and found sound, the court would send out messengers and light fires on mountaintops to inform the people that a new month began. 2. The Sanhedrin’s authority included postponing the beginning of the first month of the year (adding an extra month, Adar II) and thus postponing Passover if the barley was not yet ripe.